Aim : To educate entrepreneurs on how to prepare a convincing business proposal, to give better understanding on loan application assessment by the financial institutions, to advise entrepreneurs on how to access credit facilities with or without adequate collateral from financial institutions. 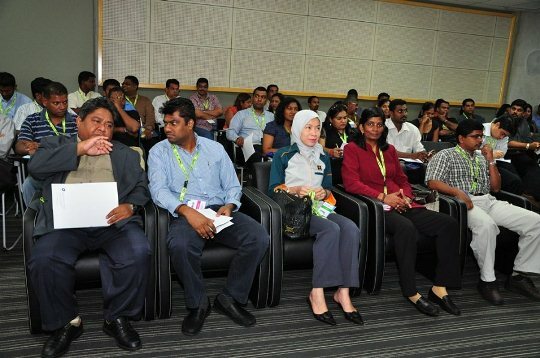 This programme aimed to assist the participants via a series of talks by captains of the relevant industry. The target participants were given overview of the loan availability, banks' perspective in evaluating the loan applications and on how to prepare business proposal. Speakers from Bank Simpanan Nasional (BSN), SME Corp Malaysia, Credit Guarantee Corporation Malaysia Berhad (CGC), SBF-Integrated Business Centre Sdn Bhd and Y Bhg Dato' Pardip Kumar Kukreja had shared the opportunity and experiences to the participants Out of the 59 attendees 49 has given their program evaluation. The speakers were up to the participants' expectation. They feel the information given by the speakers was very informative. The programme was well planned and focused which was catered for entrepreneurs and for those who plans to start a new business. Furthermore, BSN has also distributed micro loan application form and few participants applied on the spot at the BSN information counter.